There have been 4 efficiency units sold in this building in the last 12 months. The last unit in this building sold on 1/17/2019. Click here to get the details of all closings in the last 12 months. This is the efficiency you have been waiting for! Enjoy the beautiful ocean views and feel the ocean breeze from the balcony of this condo in the Caravelle Tower. This unit comes fully furnished with updated granite countertops, tile backsplash and a flat screen TV. Caravelle Tower amenities include a private indoor/outdoor pool, laundry room, spa and as well as access to all the amenities of Caravelle Resort (Pool, Lazy River, Splash Pad, Fitness Center, Game Room, Restaurant and Bar) ! 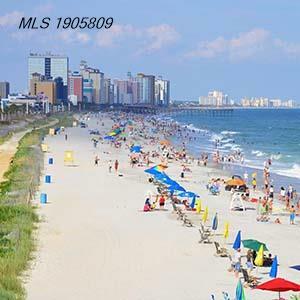 This resort is located in the heart of Myrtle Beach close to everything including the Boardwalk, Broadway at the Beach, the Skywheel, entertainment, restaurants, and shopping.